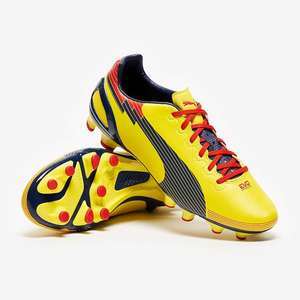 Inspired by Puma and the fatest athlete Usian Bolt, these EvoSpeed 3 will set your game alight. Mens Firm Ground boots Available in various colours and sizes. I play maybe twice a year, just in work charity games and sometimes for a kick about with the kids. Ideal for me. Thanks. Perfect for my boy. Do you want to try and make a point either way? There’s a lot of boot for the money here. Not thrilled about the colour, however. They had some fantastic deals on kids trainers today. I haven’t posted as they only had one or two pairs in sizes and folks moan I’m sending people on a wild goose chase. But some pairs were as little as £10 with 30% off voucher making them £7.50 Got my son some basketball trainers rrp £100 down to £40 plus 50% off Women’s trainers just £20. Again only saw that one pair so didn’t post. Fab deal if you can get them at any outlet. Regardless of where you buy them from, outlet, Nike online, another store, it's difficult to find decent boots at a reasonable price that don't end up stinky like cat pee! 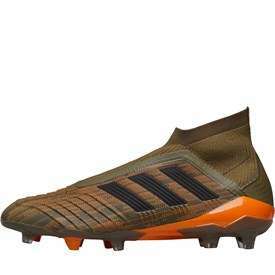 These will not be leather, same material as the majority of their boots so I'd rather be paying £4.50 than £30+ to be honking in a couple of months! Do you have evidence to back up that claim. They are older stock, returns, and so on. They aren’t ever usually reduced by this much. Yes they have had 50% off for sometime but this is a further reduction of 70%. These boots are fantastic value at £4.50 if you happen to be local and able to get them. Always “reduced” made specifically for their outlet stores and of reduced quality compared to Nike products found in high street outlets or Nike stores. Not sure why this is cold, pretty decent price for the shirt. Cheapest I've seen, with 1-2 day delivery to the UK. 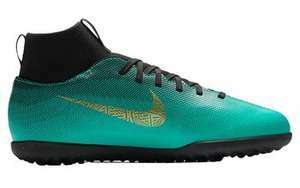 I managed to get some adidas x18.3 fg in the sale for £25 anyone know how they stack up vs Nike magistas? Never miss a 'Football Boots' deal again! 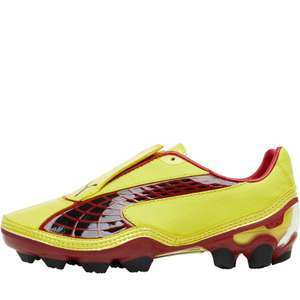 I had these in a different colour good solid boot. Good find, solid leather boot! For the price it's great for any pair of Adidas .2 takedowns. The leather variant may appeal to most but they weren't preferred to the synthetic by the pros. Also be aware that no matter how tight you tie the laces for these boots your heel can slip in them. All joking aside, I have seen much worse than these and it is a good price, so heat! OP, you might want to amend the price - Littlewoods eBay also have a separate "£10 off a spend of £30 or over" promotion on many of their items, including these boots. Combine this promotion with the current PINCHME discount code, and these boots come up as £26.44 delivered. Does code PINCHME not work to get an extra 10% off? From gaastore.com Other styles available. sorry! new to posting. Will do. Thanks for posting. Could you remember to include the price and merchant in the deal title? Shame my 10 year old is already a size 7! Hot! And I don't even have kids. Possibly the worst website ive had to use. Thanks for code, never using that site again though. Terrible on mobile. Holy moly, that is a great price for these top of there own line boots! The only snag is that it actually looks like it's 30% off from littlewoods so it comes to £45.94 all in but that's still a great price for these. Your other deal for the primeknit ace 17.1 looks even better but again the price looks slightly out unless I'm missing a button for 40% off somewhere?! Under Armour Football Boots RRP£115 Down to £11 with free shipping not sure how good these are,but a good saving atleast. I've never paid that kind money for football boots before, so I don't know, but I would say these could easily be worth 5 or 6 times what I paid. Do you think they are worth the original rrp? Just arrived at the house - very nice boot - looks great and feels really nice - bargain! Order shipped, didn’t expect that!! Incorrect - the links below show not available.